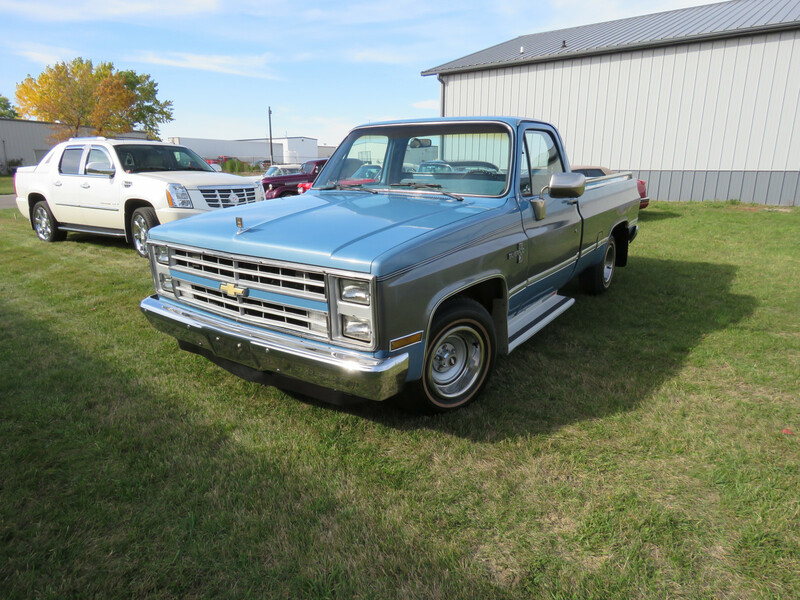 You are bidding on a 1986 Chevrolet Fleetside 1/2 ton Pickup. 1GCDC14H6GF381908. Title. 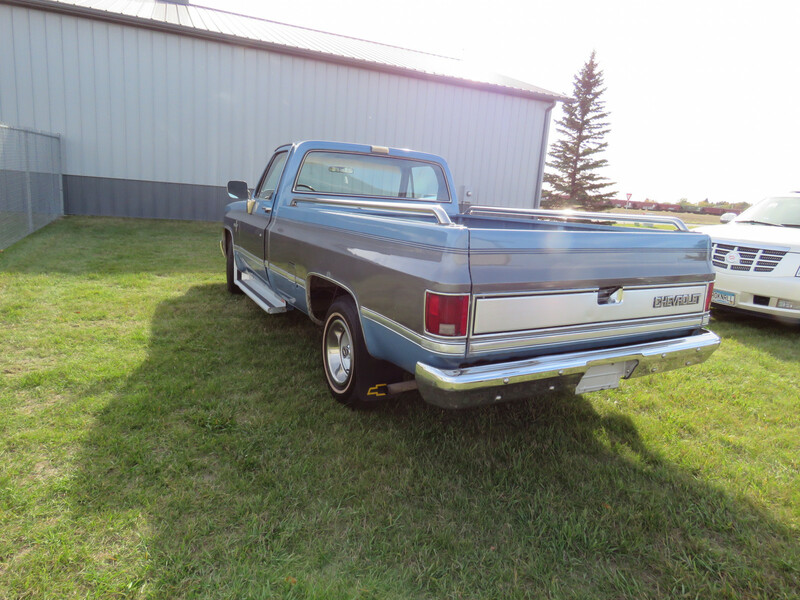 The truck is 2 Tone blue and has had some box side work done. There is a wave on both box sides. It appears this was a bad fix on some rust in the wheel wells and box sides. There are scratchs and chips also in the paint. 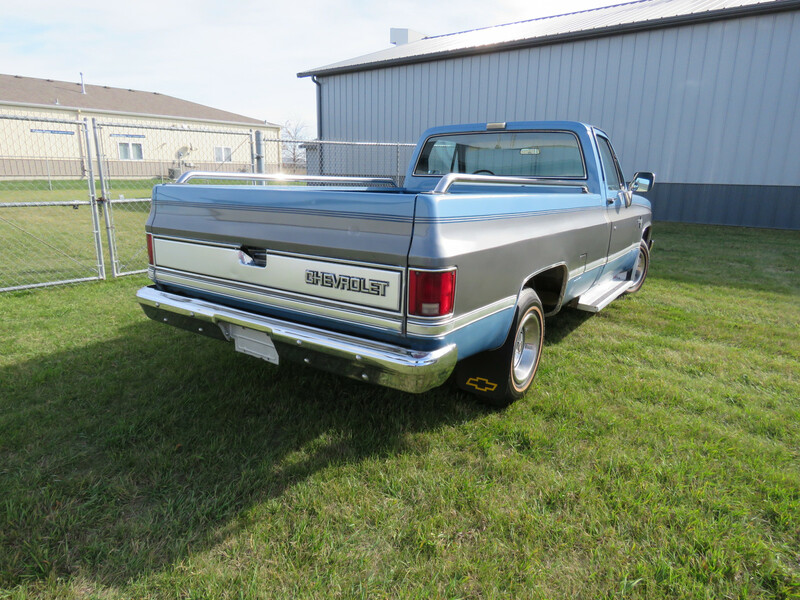 The truck has a V8 with AT transmission. PS, PB, and AC. 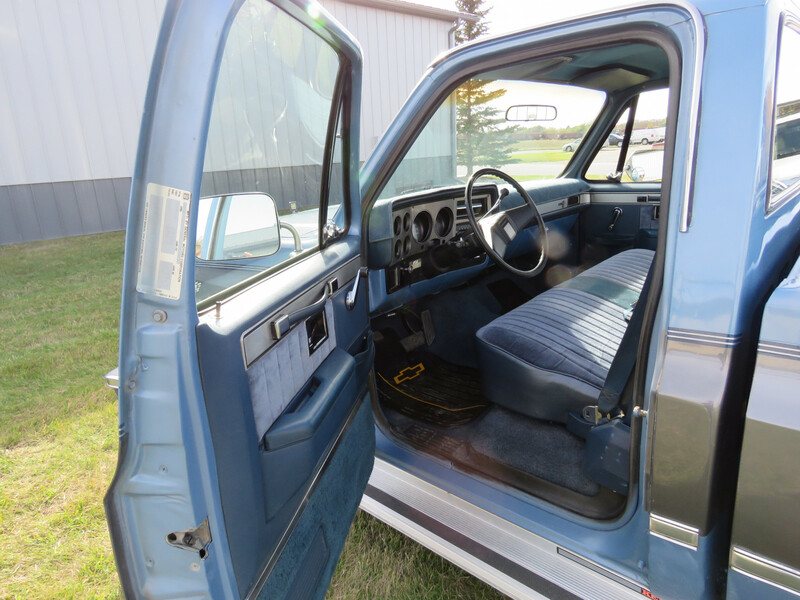 The interior is blue cloth and nice condition. It is a long box. There are 62,193 miles on the odometer. 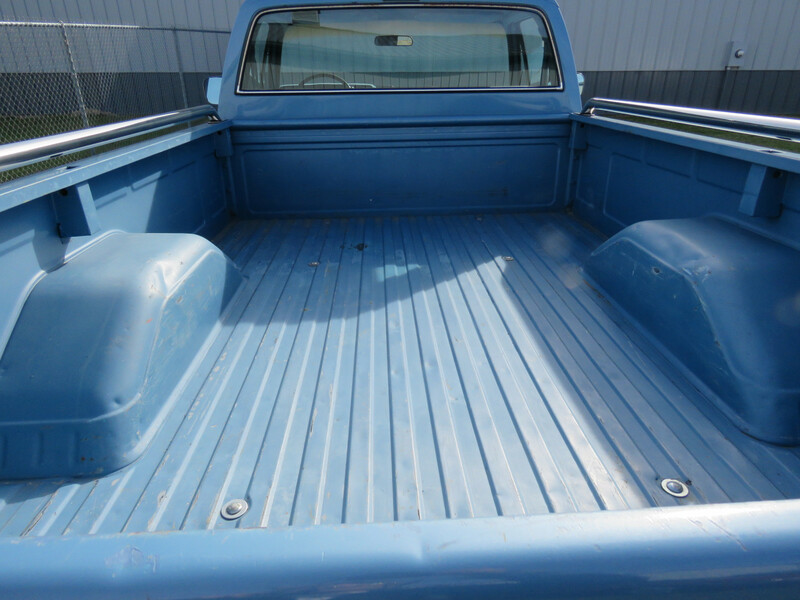 It is a Silverado package. Dual gas tanks. AM-FM radio. Ralley wheels. Box rails. 3.73 rear gears. 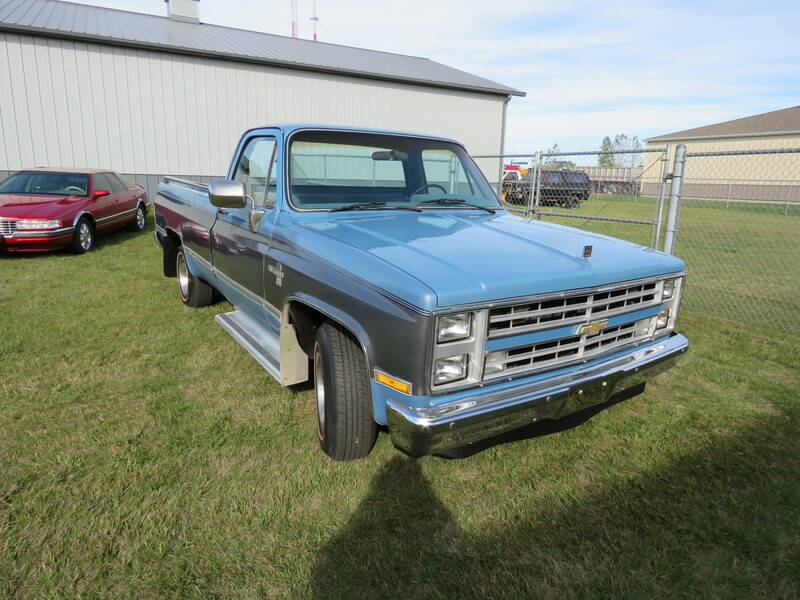 This is a truck for working and or further restore the square bodies. This is part of the Jerry Johnson Estate Auction. 11-4-17 9:30am. In Moorhead, MN. Selling AS IS and All Sales Are final. No Exceptions. Bidders please review all pictures and information and bid accordingly. 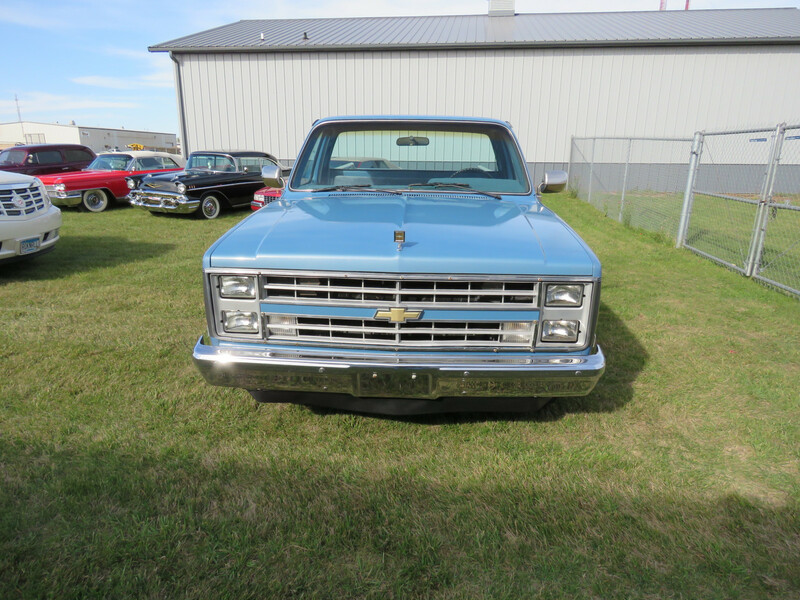 You may come to the Preview for items and vehicles is Nov. 3rd, from 10 to 5PM or Call for more information, if needed. Bidders are responsible for all placed bidding and award of winning bids. Payment is immediate and or Money wire 1st business day. MONEY WIRE OR VERIFIED FUNDS ONLY ON VEHICLES. NO CREDIT CARDS FOR PAYMENT OF VEHICLES. Shipping is available at Buyer’s Expense except for large signs and or pictures, on those Buyer to pick up or arrangement shipping. Buyers to make all arrangements for vehicle shipping and responsible for all costs. We will be live in Moorhead, but if you can’t come, happy bidding.